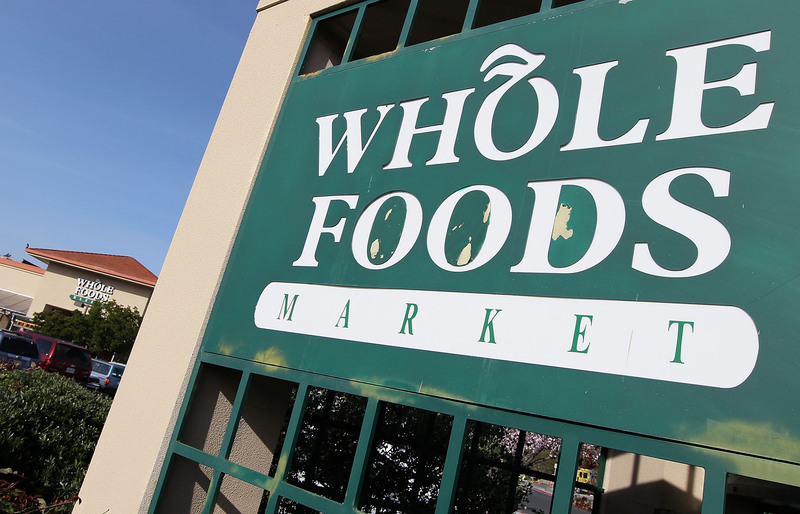 AUSTIN, Texas Whole Foods Market Inc. said Thursday that labels on a chicken salad and those on a vegan version of the salad were reversed at some of its cold food bars in the Northeast. The mislabeled salads  a curried chicken salad and a vegan curried "chick'n" salad  were sold in 15 stores in Connecticut, Maine, Massachusetts, New Jersey and New York, Whole Foods said. The company has about 300 stores nationwide. The salads were sold on Tuesday and Wednesday. The Food and Drug Administration noted the vegan salad contains soy, and the curried chicken salad contains egg. It said people who have an allergy or severe sensitivity to soy or eggs run the risk of serious or life-threatening allergic reaction if they eat the salads. The company, based in Austin, Texas, said no illnesses have been reported. The grocery store operator has hot and cold food bars where customers can scoop food into containers, which are then weighed at the registered. Libba Letton, a spokeswoman for Whole Foods, said some of the company's bulk food comes pre-made from third-party vendors. She said the salads in question came with the wrong labels from a vendor and the company is issuing a recall in line with guidelines set by the FDA.